Below is an infographic that details some of the key numbers relating to Milford Public School's energy savings over roughly the past year. The chart in the top right-hand corner details projections. The baseline is based on older data collected from previous years. Projected numbers account for the changes in weather, including the mild winter; they are an estimate of what the district would pay based on previous data along with new variables like weather changes. The last bar is the actual amount the district paid. 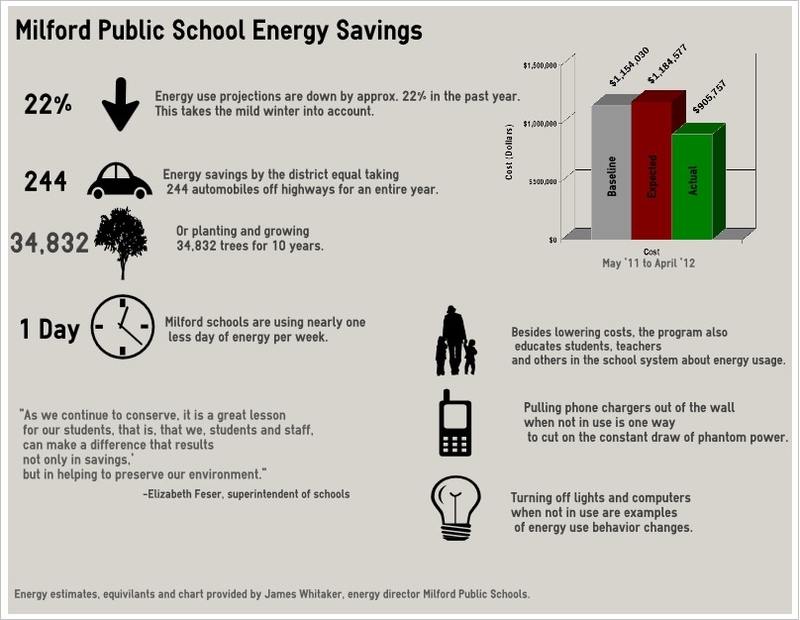 What do you think of the district's energy savings over the past year.